Is Mazda 5 battery dead? In this guide, you will learn how to jump-start a 2010-2018 Mazda 5 vans. To jump-start a Mazda5 you will need a jump box or you can use jumper cables and another car. Either method is acceptable to jump start your Mazda 5 dead battery. When you jump start a Mazda5, it is important to identify the positive and negative terminals correctly. To safely jump start your Mazda 5 follow these instructions. Ensure that keys are removed from the ignition when you connect the cables. Remove key from ignition of your Mazda. Modern Mazdas are very sensitive to voltage, and Mazda 5 is no exception. To avoid electrical problems, make sure to remove the key from the ignition. Open the hood. Locate the hood release underneath the dash. Pull the lever until you hear your Mazda hood pop open. Next, you need to release the hood safety latch at the front of the car. Locate the battery terminals. Determine where you will jump start your Mazda 5. Attach the red (positive) cable to the positive terminal. If you are using another car to jump start your Mazda 5, next you will need to connect the positive terminal on the helper car. Connect the black (negative) cable to an engine ground point. 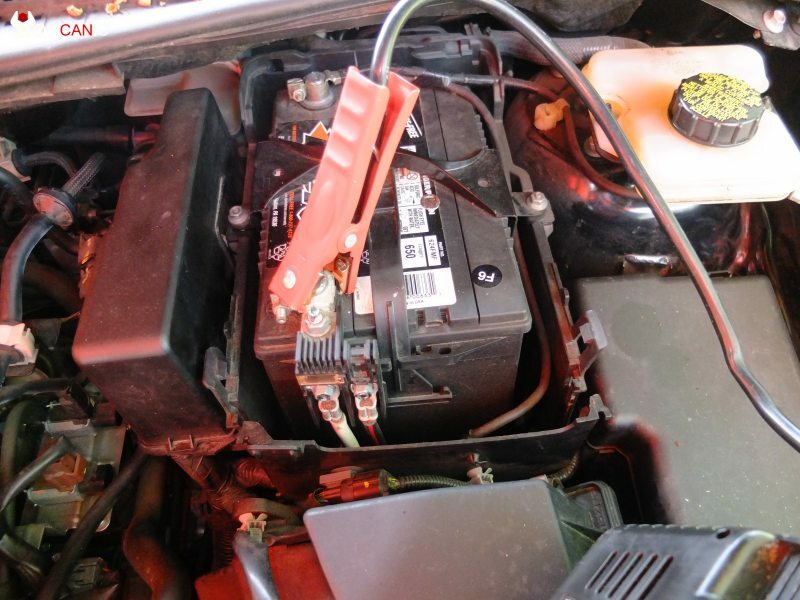 If you are using another car to jump start your Mazda 5, connect the other end of the black cable to the battery of the helper car. If you are using a jump box you are now ready to start your Mazda 5. If you are using a helper car continue to the next step. Start the helper car and let it run for about five minutes. Next, start your Mazda 5. If all you hear is a click when you try to start your Mazda 5, check the cable clamps. Allow the dead battery on your Mazda 5 to charge for a little bit longer then try again.